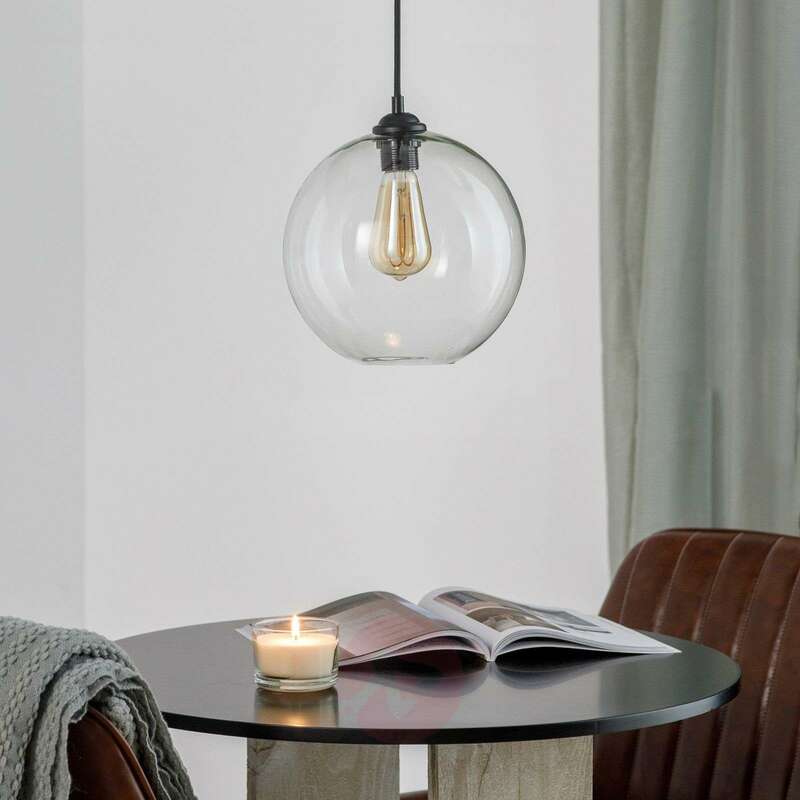 The Clara pendant light impresses with its modern yet industrial look. Thanks to this design, it is ideal for lofts or living rooms with a modern interior style. The spherical glass lampshade is extremely charming and ensures an idyllic lighting effect in a cosy ambience. Thanks to the simple suspension system in black and the clear lampshade, it can be combined with many colour concepts. 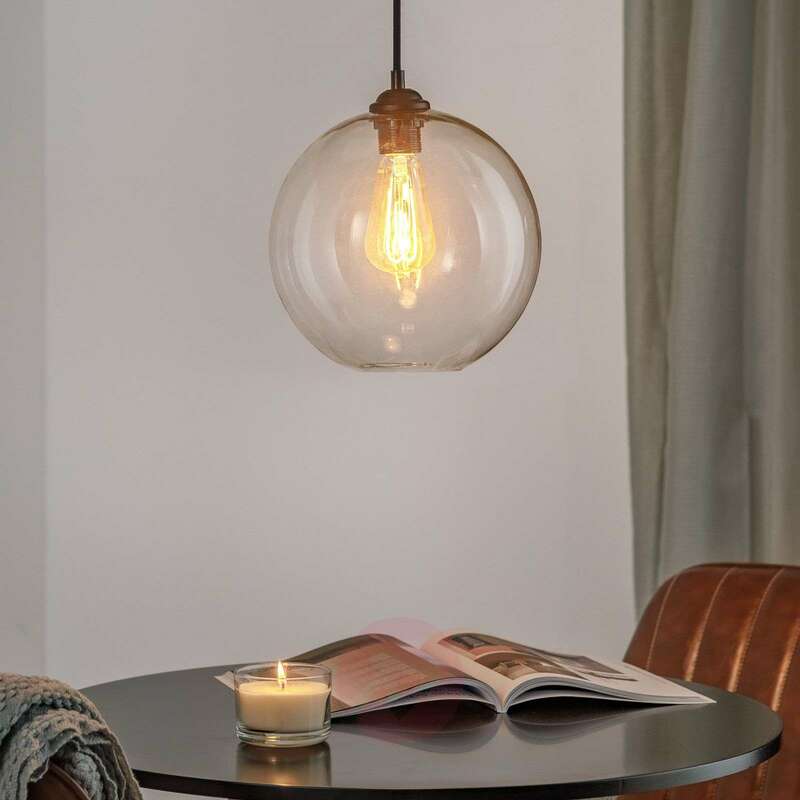 Complete the design of the pendant light with a suitable light bulb in the vintage look.This can be ordered from the accessories.